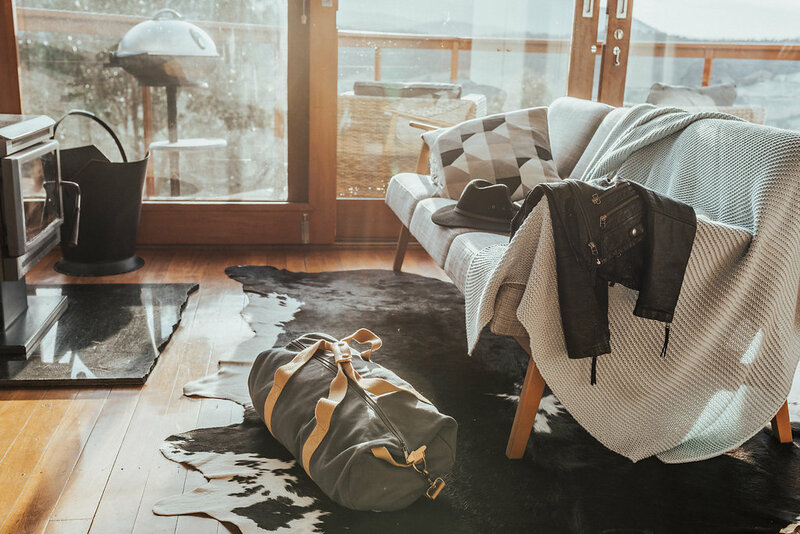 In your cabin, you have everything you need for an escape – an exclusive and private cabin all to yourself, bath products, breakfast and a Larder to create from with wines and craft beers to discover in your cabin. We also offer BBQ packs and in cabin services. So all you need to do is pack your overnight bag and drive straight here. Weather conditions at Kangaroo Ridge Retreat range from perfectly still to the perfect moody storm. The location on the ridge can also mean wind. However, the sanctuary of the lounge is never far away. Warm layers and a cosy jacket for the colder months may be wise and don’t forget sunscreen and a hat for those sunny days. A collection of local produce is offered in the cabin Larder. The Larder includes a selection of local cheeses, cured meats and seasonal items. Enjoy boutique wines and locally made beers and ciders – you need only move six steps from the balcony to toast out the day. Use the Larder items as indulgent extras to your breakfast, create a light meal or take a gourmet sandwich with you on a day trip. If you run out, we’ll happily restock for you. 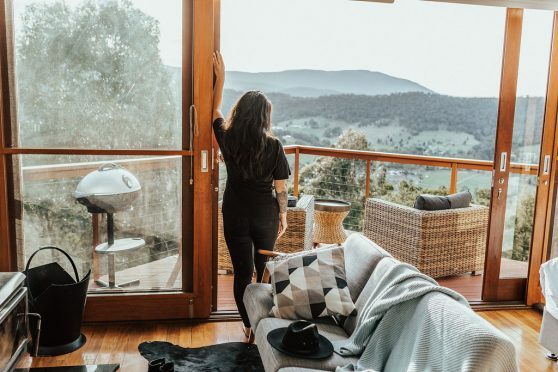 When purchasing from the Larder, or ordering our BBQ packs or in cabin services you are both supporting Yarra Valley businesses and discovering the epicurean delights of the Yarra Valley. 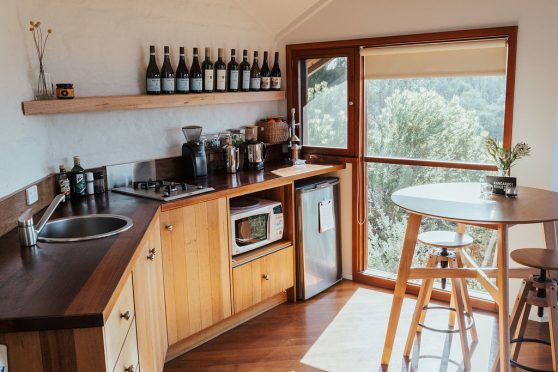 Use the Larder to discover independent wineries, craft breweries, cheese factories and cold cut producers that may not normally be on your radar. If you love them go visit, try more of their range and meet the producers.